Having my first book appear in print has definitely been a highlight of my year. 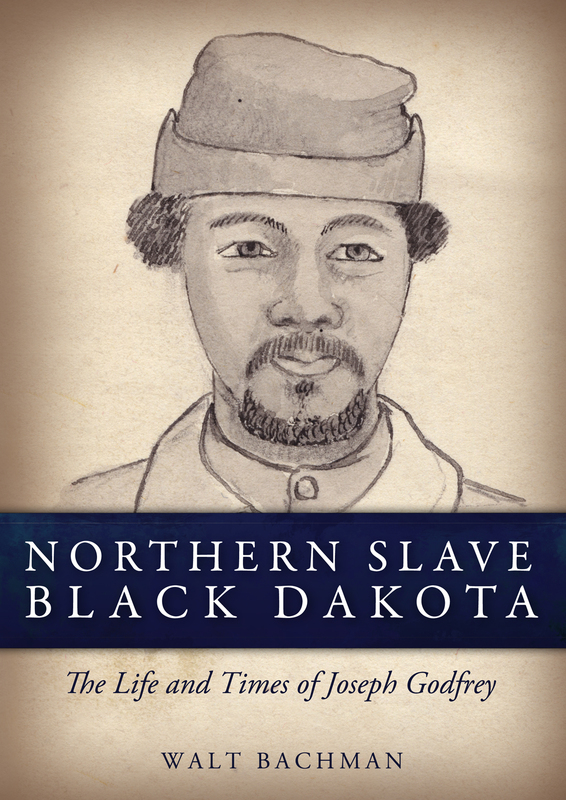 But today I’m even more proud of having a hand in bringing another book into print in universally accessible forms: Walt Bachman’s Northern Slave, Black Dakota: The Life and Times of Joseph Godfrey (forthcoming from Pond Dakota Press March 1, 2013). It has been an asset to have recently gone through the traditional book production process with the University of Nebraska Press for A Thrilling Narrative. Thanks to two Legacy Grants from the State of Minnesota, Pond Dakota Press has hired several of the same professionals to produce Northern Slave, Black Dakota. Northern Slave, Black Dakota promises to be a beautiful book, and an important contribution to the history of slavery in the U.S. in Free states and territories, as well as on the U.S. Dakota war trials of 1862. Bachman himself will tell you more about the book in an interview I will post later this week. Thanks to Legacy Grant funding, Pond Dakota Press has been able to aim from the beginning to publish books like Northern Slave, Black Dakota in non-traditional formats that will be accessible for readers who have visual impairment or reading disabilities like dyslexia. As the parent of a child with visual impairment, I can’t help but be an advocate for universal access to history. Books are more accessible now than they used to be. In October 2012, a court rendered a decision in a major lawsuit that will allow the Hathi Trust, via Google Books, to continue digitizing books held by University libraries. Digitization makes books searchable electronically, and in limited circumstances, grants electronic access to people who cannot access traditionally printed text. But unless a copyright is in the public domain, publishers opt in to Hathi digitization and although much better than nothing, the Hathi process does not yield a universally accessible book. The trend toward simultaneously releasing an e-book alongside a physical book, as Pantheon is doing with Scott W. Berg’s 38 Nooses is also a step in the right direction. Producing ebooks is not simply about catering to market demand. It is also about equity for people who live with visual impairment. The 38 Nooses ebook will be accessible to a wider range of readers than the print version, like those who will choose to read at a larger font size or change the background-foreground contrast using an e-reader. “One of the triumphs of EPUB 3 is that it now makes it realistically practical for every publisher to make their ebooks accessible to readers with disabilities as part of a regular ebook creation workflow. My access point for information on advances in accessible publishing technology is the Daisy Consortium, which publishes a monthly digest-style newsletter, The Daisy Planet, and hosts a Marketplace to connect authors and publishers with vendors who use EPUB 3. Thanks to our Legacy Grants, Pond Dakota Press has awarded the ebook conversion and distribution contracts for Northern Slave, Black Dakota to a Daisy Consortium vendor, Read How You Want. Besides using EPUB 3 & MOBI, Read How You Want makes books available on-demand in other accessible formats including Braille, Large Print and phonetic print. For a glimpse at the future of accessible publishing, watch this interview with Read How You Want founder, Chris Stephen. Even better, the Read How You Want conversion bid was significantly less than the bids of vendors who use the older forms of EPUB, despite the formatting complexity of Northern Slave, Black Dakota (the end notes). In the big picture, technological advancements make the 21st century a great time to be living with a visual impairment. I feel privileged that Pond Dakota Press is part of the change toward universal access to books for readers of all abilities. The Minnesota Historical and Cultural Grants Program, or Legacy Grants, has been made possible by the Arts and Cultural Heritage Fund through the vote of Minnesotans on November 4, 2008. This entry was posted in accessible publishing, Pond Dakota Press, Walt Bachman and tagged publishing. Bookmark the permalink.